using SAS in that particular field. Companies benefit even more from analytics when leadership takes a strong role in setting that direction. Leaders need information and tools to effectively implement and integrate analytics into their operations. This new track is being offered for leaders and champions of analytics to share experiences and highlight effective approaches to promoting analytics in an organization.Whether you are a senior leader with a mature analytics unit or just starting up an analytics effort, we want to hear from you! Every SAS® programmer, from the beginner to the expert, has found new or unusual ways to solve problems with SAS. Coder's Corner is the place to share tips and tricks, useful nuggets of programming, or techniques that make jobs easier. Presentations are 10 minutes in length and can come from a broad range of topics. Come and share your simple tricks to unlock some of SAS's mysteries! Data manipulation and integration have been mainstays of SAS® software since its inception. Over time SAS has grown to include a full suite of data management capabilities like Data Quality, Data Flux, Data Governance, Master Data Management, and Data Federation. This section intends to highlight the capabilities of traditional Base SAS and SAS Data Management as well as the various ways SAS leverages Big Data. These presentations will cover topics like data integration, data federation, data quality, data access, and data governance while providing helpful insights and lessons learned along the way. The E-Poster Section covers any area including: SAS® fundamentals; statistics; business intelligence; medical research; data mining; survey/panel results; social networking; and industry applications for the pharmaceutical, finance, education, environmental and entertainment industries. E-Posters will be displayed electronically on a wide screen monitor. In addition, a corresponding paper based upon the poster will be published in the conference proceedings. There will be allotted time to meet authors to discuss their E-Posters with conference attendees (Meet the Presenter session). Attendees will have the opportunity to examine E-Posters at their own pace and revisit displays several times during the conference. Hands On Workshops (HOW) provide an engaging forum to share a variety of SAS skills in an interactive setting. These sessions are typically 1.5 to 2 hours in length. Presenters will demonstrate SAS code and procedures in real time with a specific task or goal in mind. Any SAS topics that are better explained in an interactive setting are ideal for Hands On Workshops. These sessions are not reserved for complicated or elaborate SAS techniques only. A power point presentation, as well as sample code for the demonstration, is needed for the workshop. The datasets and code should be made available for download prior to the session, enabling attendees to run the code on their personal computers. Workshops this year will be set up such that attendees bring their own device and will use the SAS University Edition. Papers in the Government section will focus on using the SAS System to help local, municipal, state, and federal government agencies apply analytics in delivering quality services in the face of budgetary and human resource constraints. Papers in the Healthcare/Pharmaceuticals section will focus on using the SAS System to provide quality healthcare outcomes - saving patient lives; hospital readmission rates; drug/device discovery, injury and disease prevention; patient care and satisfaction; healthcare costs and delivery. Papers in the Education/Institutional Research section focus on using the SAS System to find solutions for reporting and analysis in the education community. This section will present techniques, best practices, and solutions for data needs in primary, secondary, and postsecondary education. This section is primarily intended for programmers new to SAS, and includes topics essential for building the knowledge and capacity of beginner SAS users. Appropriate topics include SAS programming fundamentals, SAS program design, basic SAS procedures, and SAS debugging techniques. The presentations will provide beginning programmers with a greater understanding of SAS coding procedures, rules, and troubleshooting. Programming topics across all fields and industries are encouraged and welcome. Know your SAS: Advanced Techniques provides instructional content for intermediate and advanced SAS users. These presentations will help advanced programmers implement enhanced techniques to build on the power and flexibility afforded by SAS software. Programming topics across all fields and industries are encouraged and welcome. Open Source software has become popular for data visualization, analytics, and data manipulation and management. This year, SESUG will pilot a new section featuring open source software that can be useful to the SAS user community. As SAS states, "As we think about the entire analytics life cycle, it's important to consider data preparation, deployment, performance, scalability and governance, in addition to algorithms. Within that cycle, there's a role for open source and commercial analytics.*". 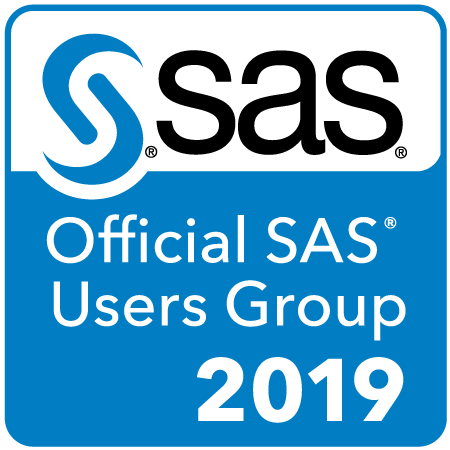 If all or part of your SAS® time includes supporting users, whether through systems architecture and administration or through consulting, training, and hiring, this section is the place for you to share your experiences with other members of the SAS community. This section will include guidelines, best practices, techniques, and resources for working efficiently and effectively in the SAS support community. The Reporting and Visualization section invites presentations that demonstrate unique and innovative ways to visualize data and output. SAS provides many tools for visualizing and reporting data and results including Visual Analytics, SAS/Graph, SAS SG procedures, DSGI, and JMP®. Presentations in the Statistics and Data Analysis section address ways of transforming raw data into useful information that uncover important relationships and patterns in data to help gain insights for effective, data-driven decision-making. Papers do not need to present new statistical methods, although such topics are always welcome. Presentations are sought that involve the application of methods that many users of SAS statistics may not commonly see, such as methods for categorical, longitudinal, or censored data. Methods to facilitate analysis of very large data arrays, such as those that result from genetic studies or national surveys, are also sought for this section. Topics in this section should be of interest to a broad spectrum of SAS practitioners including analysts, developers, statisticians, data scientists, and DATA step programmers.